Claude Bowes-Lyon, 14th Earl of Strathmore and Kinghorne was born 14 March 1855 at Lowndes Square in Belgravia, Middlesex, England, United Kingdom to Claude Bowes-Lyon, 13th Earl of Strathmore and Kinghorne (1824-1904) and Frances Dora Smith (1832-1922) and died 7 November 1944 at Glamis Castle in Glamis, Angus, Scotland, United Kingdom of bronchitis. 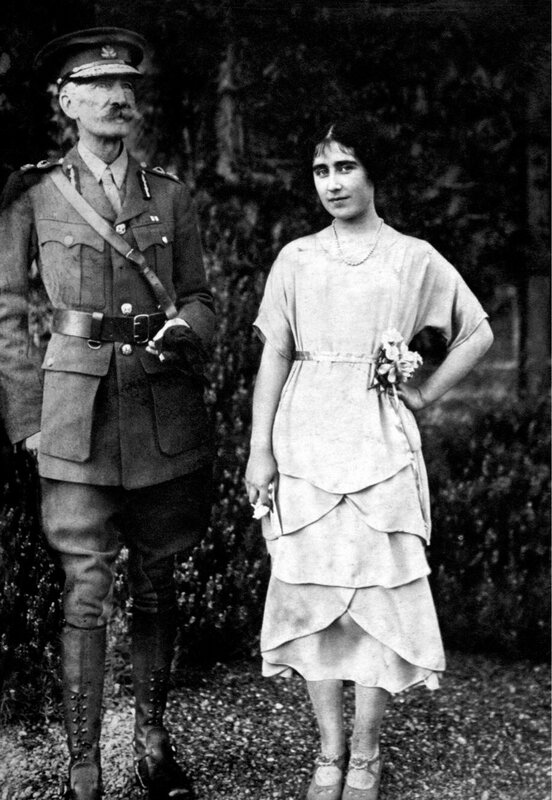 He married Nina Cecilia Cavendish-Bentinck (1862-1938) 16 July 1881 in Petersham, Surrey, England, United Kingdom. Notable ancestors include Charlemagne (747-814), Henry II of England (1133-1189), William I of England (1027-1087), Hugh Capet (c940-996), Alfred the Great (849-899), Robert I of Scotland (1274-1329). Ancestors are from the United Kingdom, France, Germany, England, Russia, Ukraine, Ireland, Spain, Portugal, Belgium, the Netherlands, Scotland, Italy, Israel, Hungary, Turkey, the Byzantine Empire, Sweden, Belarus, Switzerland.